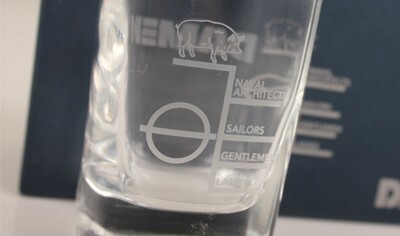 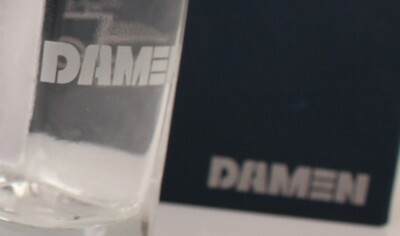 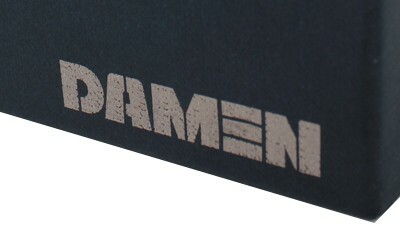 The Damen logo is imprinted on the glass. 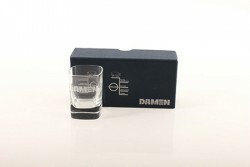 These three chique shot glasses make a great addition to any home bar! 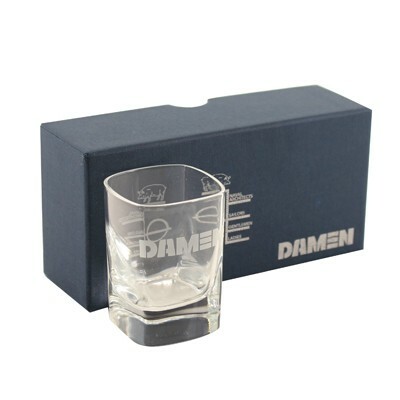 This product is packed per 3 pieces in a blue Damen giftbox.